Coach Boyd is a graduate of Alexandria high school. After graduation he attended Jacksonville State University on a football scholarship. Coach Boyd has coached varsity softball for eight years. Five of those years he was the head coach at Jacksonville High school. During his time at Jacksonville he was awarded the title of the 4A-6A Calhoun County Coach of the Year. In addition to coaching softball, Coach Boyd will serve as the offensive coordinator for the Tigers’ football team. Coach Boyd is married to Kelly Boyd and they have two daughters Karley (14) and Kolby (13). I am very excited and thankful for the opportunity to work at such a great place as Cleburne County High School. I would like to thank my administrators for the confidence and support that they give me and our coaches. Also, I would like to thank Mr. Chad Young, our superintendent. Mr. Young is a great man that offers support and backing to all our teachers/coaches. Cleburne County softball is a great program that is recognized state wide. One of the main reasons for that is because of Coach Ron Ervin. Coach Ervin and I have become like brothers. He has done so many things behind the scene to help this program. Coach Ervin constantly does things like building a press box/concession stand that has bathrooms, building dugouts for the girls, and most recently, redoing the infield of the softball field. He has won over 300 games, numerous area titles, played at regional tournament, and the state tournament. Coach Ervin is a great friend, and it is obvious that there are some big shoes to fill. There have been many great players that have come through this program with some playing at the collegiate level. We have an awesome group of girls in the program right now. They love the game, and they are not afraid to work. We are going to work and continue the winning tradition that has been established by Coach Ervin and his previous players. It’s a great day to be a Cleburne County Tiger. Coach Jordan Fuller is the son of Jerry and Joyce Fuller. He is married to Tiffany and they have two children, Dani Rose (4) and Dylan Rose (1). He is a graduate of Cleburne County High School, Class of 2007, and Jacksonville State University, Class of 2011 (B.S. Ed.) and 2018 (M.S. Emergency Management). 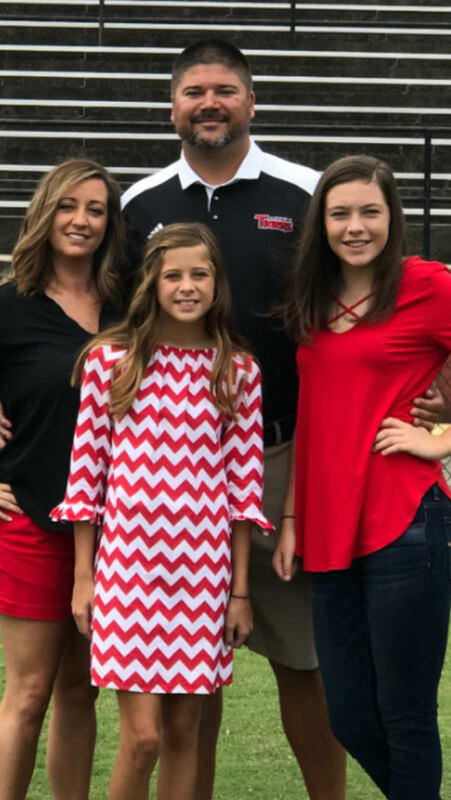 He began his coaching career as a volunteer Junior High Assistant Football and Baseball Coach here at Cleburne County High School in 2007. He went on to became the head Junior High Baseball Coach at White Plains High School in 2012 under then Head Varsity Coach Chad Hudson. His time working under Coach Hudson was brief but had a large impact on the coach that he has become today. Coach Hudson and Coach Vaughn Lee have been the greatest influences on Jordan’s baseball career, and he attributes much of his success to the things that he has learned from those two men. In 2013, Coach Fuller accepted an offer to return to Cleburne County High School as a Mathematics teacher and coach. He has spent the last five years as the head Junior High Baseball Coach and a Varsity Football Assistant Coach. He appreciates the trust and responsibility that Coach Lee has given to him over the last five years as one of his assistants. Without his influence, Jordan wouldn’t be in the position that he is in today. He has not only been lucky to work for Coach Lee but to also blessed to be one of his former players. Jordan wants to thank his principal Ms. Bain, Athletic Director Michael Shortt, Superintendent Chad Young, and Coach Lee for entrusting such a great program to his leadership. 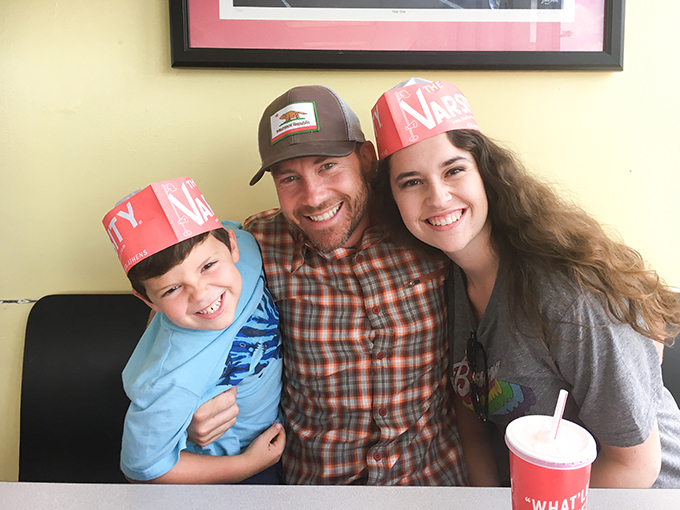 Jordan Fuller knows, lives, and loves Cleburne County. Through dedication, hard work, and perseverance, Coach Fuller has shown what it means to have Tiger Pride! Great things will continue to take place in our Tiger Program because of coaches like you. Thanks for all that you do! Congratulations to Mr. Clint Payne for being named Cleburne County High School Teacher of the Year 2017-2018. Mr. Payne has completely revamped the culture of our CCHS Agriscience Program. Mr. Payne has truly engulfed his classroom into what it means to be student centered. Students are consistently actively engaged in hands on projects with Mr. Payne being a guided resource and not simply the knowledge holder. Several community members have had the pleasure to see some of the projects (wooden pumpkins at Halloween, wooden deer at Christmas, shoot houses, bus and outdoor toys, etc.). There are many other projects not mentioned, but you can look forward to our fully operational green house and wood mill in the future. Words cannot express how happy we are with the progress being made by Mr. Payne in our Agriscience department. He deserves all the credit and we are very pleased that his peers voted him in as CCHS Teacher of the Year 2017-2018. Congratulations Mr. Payne, and good luck with all that you have decided to take on in our Agriscience Program. 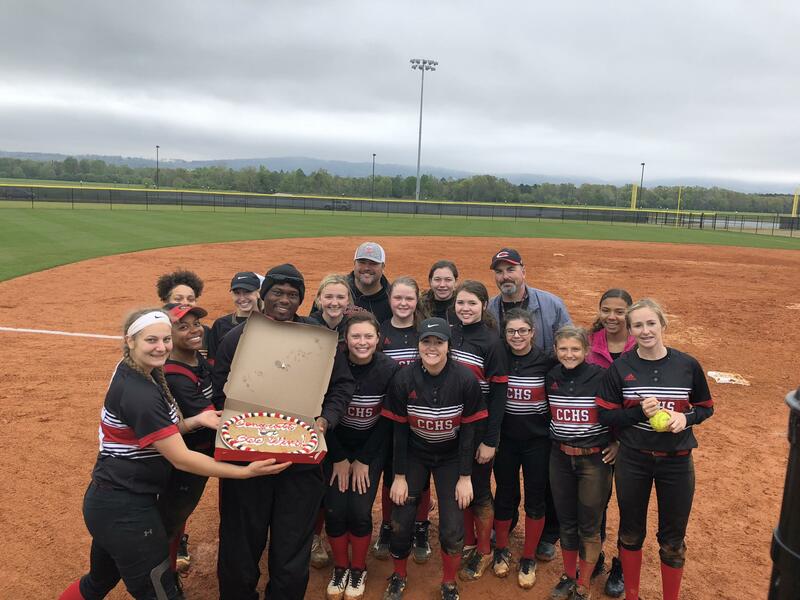 Congratulations goes out to Coach Ron Ervin for getting win number 300 as Cleburne County High School’s varsity girls head softball coach. We want to thank you for all the hard work and dedication that you put into our program. You have always given credit to your players and the other coaches, but this time you deserve much respect for all that you have accomplished. This milestone would not have been accomplished without your drive, sacrifice, and attention to detail. We also want to thank your family for their unparalleled commitment in supporting you through it all. Coach Ervin, you are truly an asset to this community. From all of us here at CCHS, CONGRATULATIONS & THANK YOU!!! 12th grade orientation is July 23rd from 4:30 p.m. to 6:00 p.m.
11th grade orientation is July 24th from 4:30 p.m. to 6:00 p.m.
10th grade orientation is July 25th from 4:30 p.m. to 6:00 p.m.
9th grade orientation is July 26th from 4:30 p.m. to 6:00 p.m.
8th grade orientation is August 1st from 8:00 a.m. to 10:00 a.m.
Parents will receive a tour of the school, fill out paperwork, learn about Chalkable Home (Online grade, attendance, and discipline access), school procedures, and a question/answer session. Must wear school colors for class, NO SPANDEX BOTTOMS OR TANK TOPS, tennis shoes are required for class, notebook with paper and pockets, PE Locker basket rentals are $2. Backpacks, Athletic Slings, or Book bags must be clear or see-through mesh. Chemistry and Physical science would prefer composition notebooks.